Over the years Dubai has amazed me with its rapid development, becoming one of the world’s most architecturally innovative cities. Daring to go to great lengths (and heights, literally), Dubai continues its pursuit of intensive urban expansion. In recent years, some of the most iconic – and tallest – buildings in the world have sprung up in Dubai, such as the Burj Khalifa and the Burj Al Arab, both well-known structures. But neither of these figure among my favourites. No, I love the traditional architecture of the many mosques (approx. 1,500) found in and around the city. 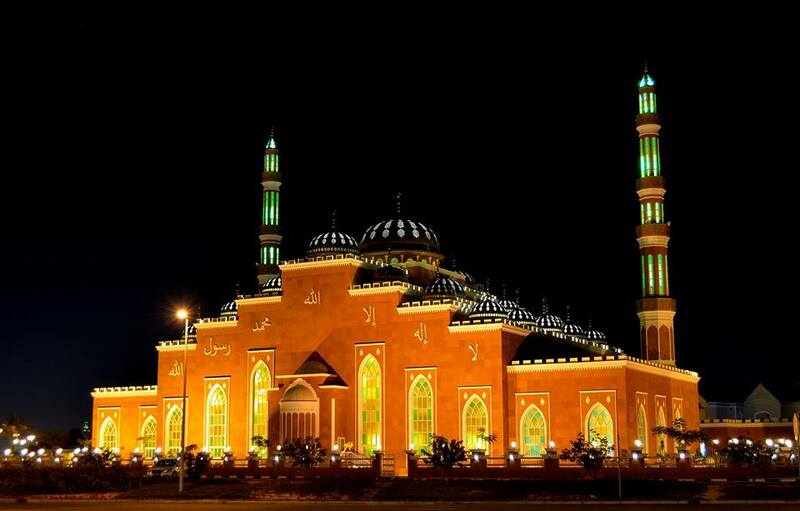 Named for a companion of the Prophet Muhammad, it was built in 1986 and subsequently renovated in 2003 and 2011. 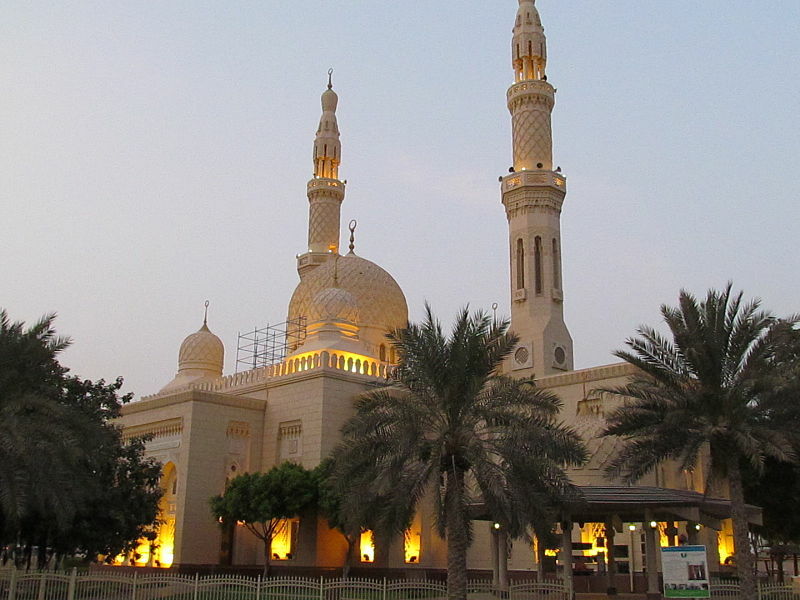 It’s one of the largest mosques in Dubai with a capacity of 2,000 worshippers. It’s often referred to as the Blue Mosque because its architecture was inspired by Istanbul’s Blue Mosque and is a mix of Ottoman and Andalusian styles. Non-muslims can visit daily except on Friday. 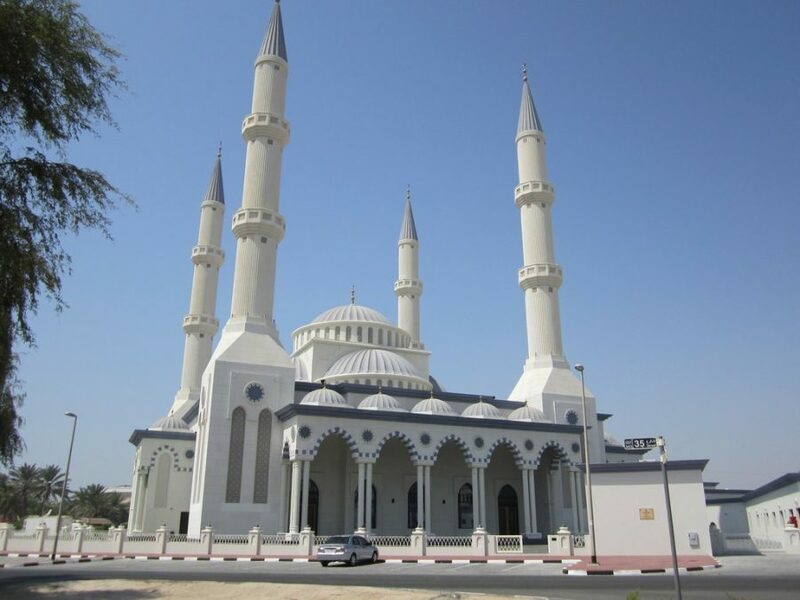 This is one of Dubai’s oldest mosques and consequently the cultural and religious centre for Dubai’s Muslims. Originally built in 1900 as a madrasah for children, it was rebuilt in 1960 and renovated in 1998, though the original structure of the building has been maintained. Its minaret is the tallest in the city. Non-Muslims aren’t allowed into the mosque but are allowed to go up the minaret which offers stunning views of the mosque and the city. One of the most photographed buildings in Dubai – and you can see why – this stunning mosque was built in 1976, in the traditional Fatimid style. It looks particularly spectacular when it is lit up as the sun goes down. The mosque’s interior features gorgeous intricate designs in pastel shades, Islamic calligraphy and golden chandeliers. It too is open to non-Muslims. This is one of the most famous Shia mosques in Dubai and was founded in 1979 by the Iranian community. The exterior of the mosque and its dome are covered in traditional blue tiles. 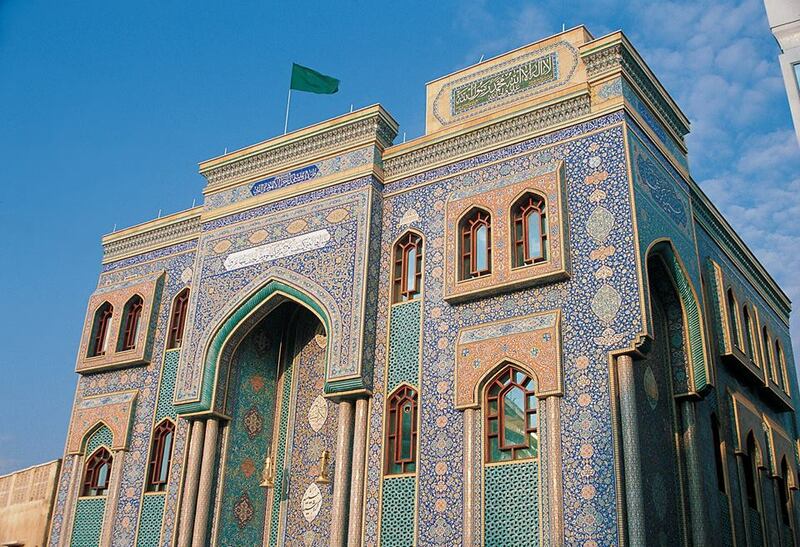 Its interior shares the same striking blue tiles with green and gold accents, with Arabic inscriptions over them. This is another one open to non-Muslims. This mosque’s stunning red architecture was influenced by the Turkish buildings of old, resulting in a striking mix of Ottoman and Emirati culture and design. The exterior features gold domes and balconies on the minarets. Opened in 2014 by His Highness Sheikh Mohammed bin Rashid Al Maktoum, Vice-President and Prime Minister of the UAE and Ruler of Dubai, it can accommodate 1,500 worshippers.